Currently, I’m a temp Pixar University Assistant, and I’ve been in this position for about 5 months. My department focuses on company culture and internal education at Pixar Animation Studios. It’s a really unique and fun position- I get to do vastly different tasks everyday and meet a lot of talented people frequently. I worked as an Education Associate for SEALIFE Carlsbad Aquarium in high school. I wore a mic and educated large groups of guests on sea stars, sea cucumbers, and pencil sea urchins at a touch pool. My favorite part of it all was teaching kids how to touch the pencil sea urchins in particular, telling them the difference between venomous and poisonous animals, and watching their faces light up in amazement. 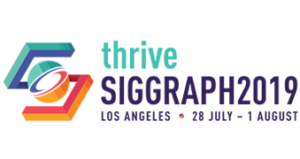 I was a Student Volunteer for SIGGRAPH 2015! It was a great experience- I learned about how great the organization was while simultaneously assisting brilliant people. This experience really solidified my interest in computer graphics, and I want to continue to give back to the community through SIGGRAPH. Definitely the Computer Animation Festival. Not only is the show amazing, it’s also inspiring to be a part of an industry and community that’s very supportive of each other. The turnout was incredible, and on top of that, there were glowing beach balls people were bouncing around during the light show section. It’s a must-see at every SIGGRAPH conference. My friends and I are working on a 360 VR animation based on a short film I worked on two years ago. I’m really excited because it’s my first serious VR project, and I’m learning a lot very quickly from my peers. There are a few dynamic scenes that I’m excited to test with the 360 camera- I think the outcome will be one where people will want to rewatch the short at different angles to get the full story. I think I’d have dinner with Olafur Eliasson. I’m enthralled with his art and how he navigates different combinations and juxtapositions of shapes, color, and light, especially with some of his pieces from 2015 such as Spherical space. I also like his project Little Sun. It’s an eco-friendly device that has a direct social impact: it provides access to bright light to remote areas and reduce reliance on kerosene lanterns. I also really appreciate how Eliasson continues to iterate on his artwork based on consumer feedback – the Little Sun Diamond he previewed recently looks amazing and is still reminiscent of his general art style. I’d love to talk to him about light and art in general… that would be amazing. I always collect stickers from everywhere I go and put them on the sketchbook I’m currently working on. When I want to look at my finished sketchbooks later, the stickers will remind me of where I went, what I saw, and the cool things I experienced while I was drawing in it at the time. Definitely my mom! She is strong and has taught me that tenacity paired with hard, smart work moves you forward. My mom also showed me that while your path to your goals may not be a straight shot, all the things you learn on your journey can put you ahead if you keep up a positive attitude. Thank you Mom! I don’t think there’s just one person in particular who influenced my decision to work with ACM SIGGRAPH. 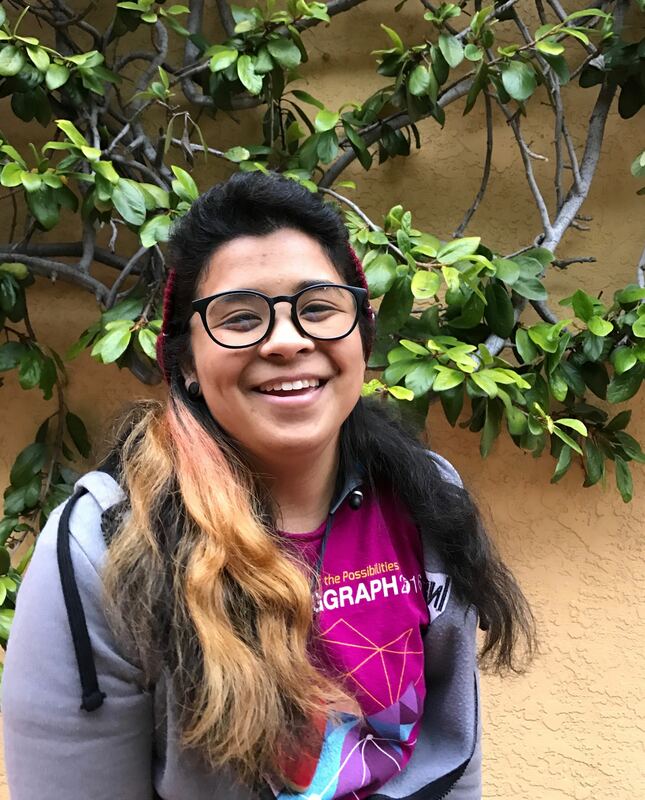 At UC Berkeley, there’s UCBUGG, a 3D Animation and Modeling club where students teach other students how to use Autodesk Maya and make an animated short film in a semester. When I first joined the club, a lot of older students were applying to work as Student Volunteers or Team Leaders for SIGGRAPH, and I tried too because they inspired me to go for everything and anything available to us. I made it in as an SV in 2015, and that encouraged me to strive and work in this industry. I also want to give a shoutout to Alex Bryant, one of my Team Leaders, as he still continues to answer my SIGGRAPH questions today. I owe it to these people for helping me make it this far. Thank you so much! It’s hard to pick just one… but I think it’s the accomplishment of working at well-known studios and representing my school and academic major. In life, we can bump into naysayers, but we also run into a lot of encouragement as well. When students in my major or similar tell me that I’ve inspired them to keep trying, it means a lot to me because I want to be a positive impact. I want them to know that their paths will be different from mine, but if they keep working at it and keep improving, they will get there. I believe the same thing for myself. We shouldn’t let obstacles get us down, and should never give up!